The Bucklin family has a family reunion almost every few months which is why no one really wants to go but they go to avoid being talked about. Shay Henke has mixed feelings about the next reunion. She is looking forward to meeting her family and spending time with them but she has been single for so long and knows everyone would only focus on her being single. Days leading up to the event, Shay learns a secret her sister-in-law is keeping along with juggling her childish twin cousins. When Shay's high school crush moves back home, will Shay be able to deal with all the drama? 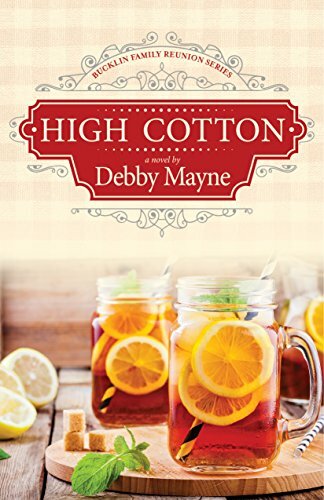 The book is enriched with Southern heritage values with names such as Digger, Puddin', Missy, Southern gentleman values, and sweet tea. When I first read the summary, I assumed the deep, dark secret was going to be something terrible and horrendous. When, the cat was out of the bag, the secret was quite laughable especially since the person already knew. The characters' dynamics were interesting and fun to read especially at the family reunion pieces but I felt some of their values were a bit old fashioned. I also found it disheartening that three people go from being alone to finding love in less than 100 pages at breakneck speed. Along with many characters thinking their problems would end their world but was solved a few pages in. The story was told by four females' point-of-view, but I think I would have preferred maybe just two, so we would get more details into that person's life.